​Friends of American Old-Time Music and Dance (FOAOTMAD for short!) was founded in 1993 with the aim of furthering the promotion and performance of traditional old-time music and dance in the UK. We organise regular music camps, residential workshops, dance parties and support for many other formal and informal old-time events. We have a proud history of encouraging and supporting the best artists from American, Canada, UK and Europe during their visits to the UK. 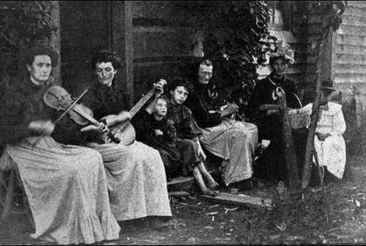 Old-time is the term which is used to describe the traditional folk music of the Appalachian Mountains in the USA. Its roots are in the British, Irish and Scottish tunes, songs and dances which settlers took with them and over time these have developed their own American flavour. The greatest differences in the music are the introduction of the 5-string banjo and a sound made up largely of stringed instruments – concertina, drums and whistles are rarely used. Some of the songs are British ballads but many are American originals. The term old-time is also applied to the later commercialisation of this music when recording came into use, sometimes referred to as Hillbilly Music. It is one of the main roots from which Country and Bluegrass music later emerged. 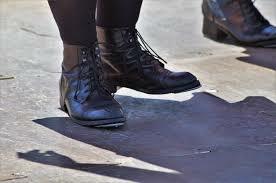 There are two main dance styles associated with American old-time music: “flatfooting” which is usually a solo style and “clogging” which is often performed by teams. For more information see our DANCE page. Since its inception in 1993, FOAOTMAD has organised a major festival every February in Gainsborough. With a superb line-up of leading performers from America, Canada, Europe and the UK, the weekend includes concerts, Appalachian dancing, harmony singing and workshops for beginners and intermediate players of fiddle, banjo, guitar and mandolin. This popular event has become Europe's biggest and best old-time festival. To find out more, go to our FESTIVAL page..
To stay updated with all that’s happening with old-Time sessions, concerts, dances and other events you can sign up for our FOAOTMAD event email here.